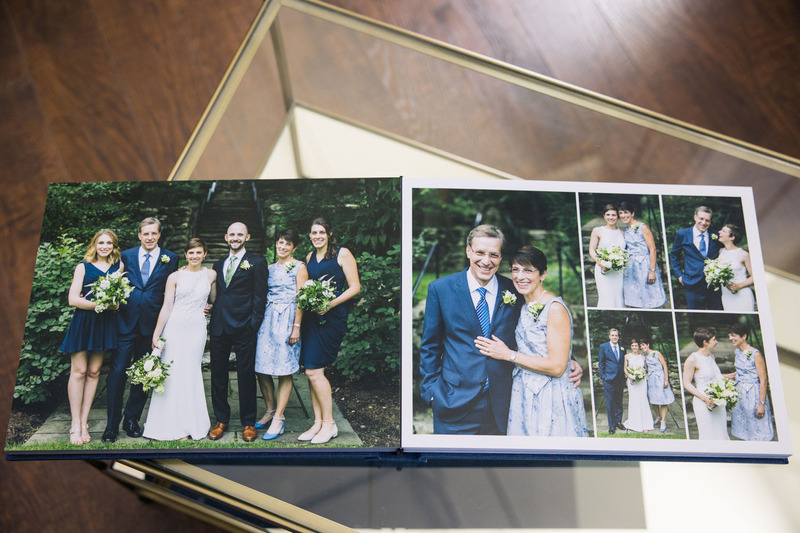 he Fine Art Book is a contemporary, flush-mount style wedding album featuring permanently bound, archival-quality pages which are unbendable. 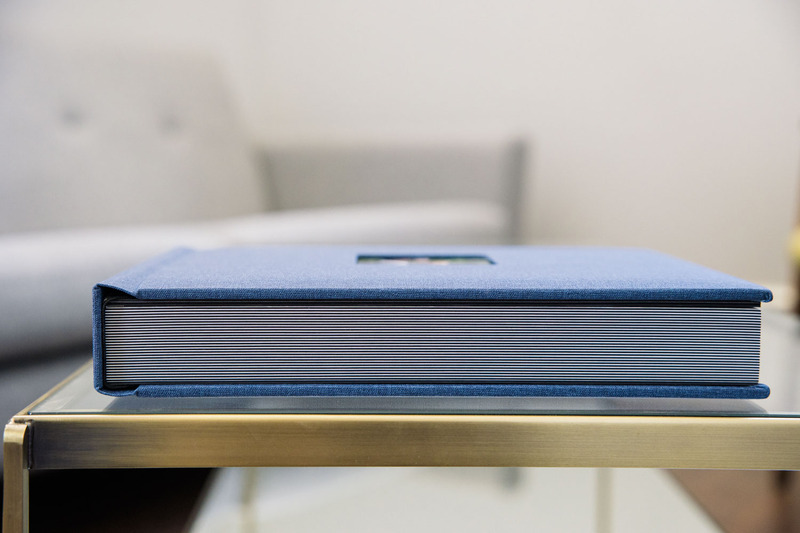 Flush-mount albums offer the greatest visual impact and flexibility in design, as the entire surface area of each page is the actual photograph. Large images can span to the edge of the page, or even across the book's center seam. This allows us to design each page using multiple images that work together, creating a visual story from beginning to end. The Fine Art Book is available in landscape (13x10) or square (12x12) formats. Cover materials include a wide variety of silks, linens, top-grain leathers and animal friendly leather alternatives. Pricing includes all graphic design, printing, binding, shipping, a single image on the front cover and a stitched black leather box to protect and store your album. Duplicate Gift Albums are also available, giving you the option to print additional copies for parents or close friends.